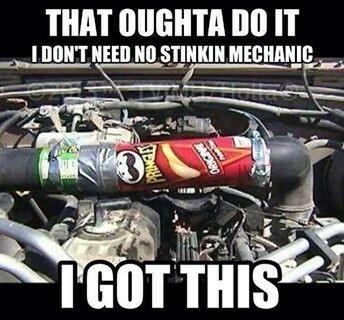 Hold on a second – we can fix it! 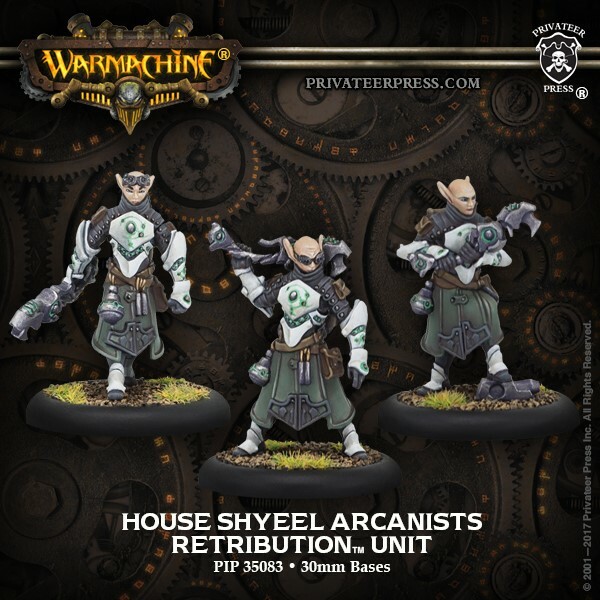 An arcanists unit for the Warmachine faction Retribution. 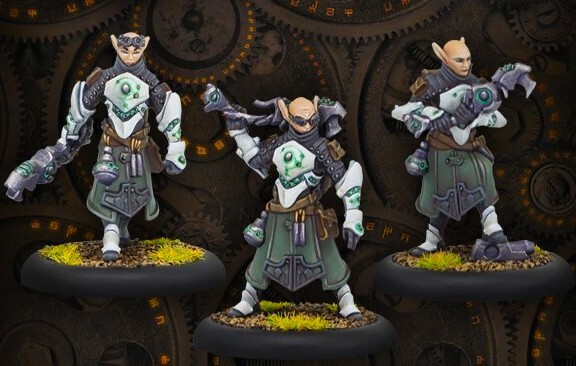 They are a more combat oriented mechanic unit that you can use to repair your jacks or empower them. If you are running three Arcanists with Rahn and want to have more magic attacks for the feat these guys are an easy reach for one extra point. Or if you are having trouble keeping you’re mechanic solos alive due to blast damage or getting trivially sniped out the force barrier and extra range on empower keeps them safe. House Shyeel Arcanists cost 7 points. What are the House Shyeel Arcanists all About? SPD6 DEF13 ARM12 Makes them appear to have a worst statline than the solo but force barrier more than makes up for it. Force Barrier: Standard Shyeel ability for the most part +2 defense and immunity blast makes it all but impossible for drifting blast templates to take out your mechanics. Force Strike: Range 8 POW 12 magic attack that knock downs on critical hit. While I see these guys usually empowering or repairing my warjacks. Rahn does have other uses for them when it comes to his feat the boosted attack rolls allow for you to fish for the critical better as well as high damage can allow them to hand out some punishment. I haven’t found too many other situations where I would rather throw a force strike than giving a jack another focus. Repair [D3+1]: I have had the debate a few times at the store as to which is better D3+1 or D6 since I tend to like to hedge my bets I prefer the D3+1 because there is no chance of rolling that dreaded 1 point of repair. How to Use House Shyeel Arcanists? 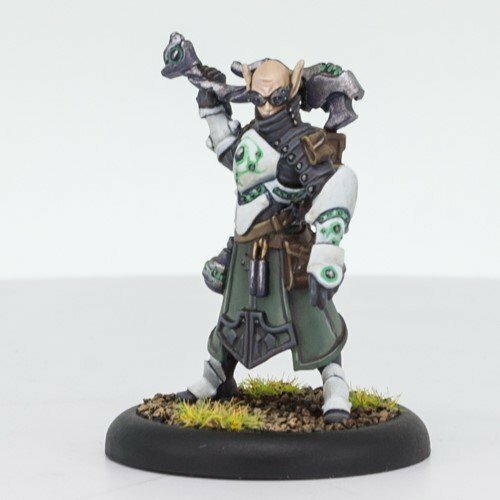 The Arcanists biggest advantage is their 6” cmd which allows them to be much further from harm’s way and much more agile when allocating focus to our hungry warjacks. With Rahn and in other niche cases the RNG 8 POW 12 Magic attack can be devastatingly good but with a magic ability of 5 be prepared to miss. With SR2017 just around the corner the fact that they are a unit could be very beneficial for late game zone scoring. The House Shyeel Arcanists at 7 points seems just right to me. The fact that they are a unit and the extra defensive boost from force barrier alone are worth 1 point to me. Add in the fact that they extend the range of their empower by 3” and consider them a bargain. I expect to see this unit on a lot of battle fields. ~Do you agree? Tell us your opinion.